Sophie Treppendahl’s paintings investigate enchantment in the ordinary, capturing and contemplating unexpected moments of bliss where everyday life seems filled with ephemeral perfection. Summer swimmers lounging and luxuriating in enticing pools evoke our collective memories of peaceful warm weather pastimes. 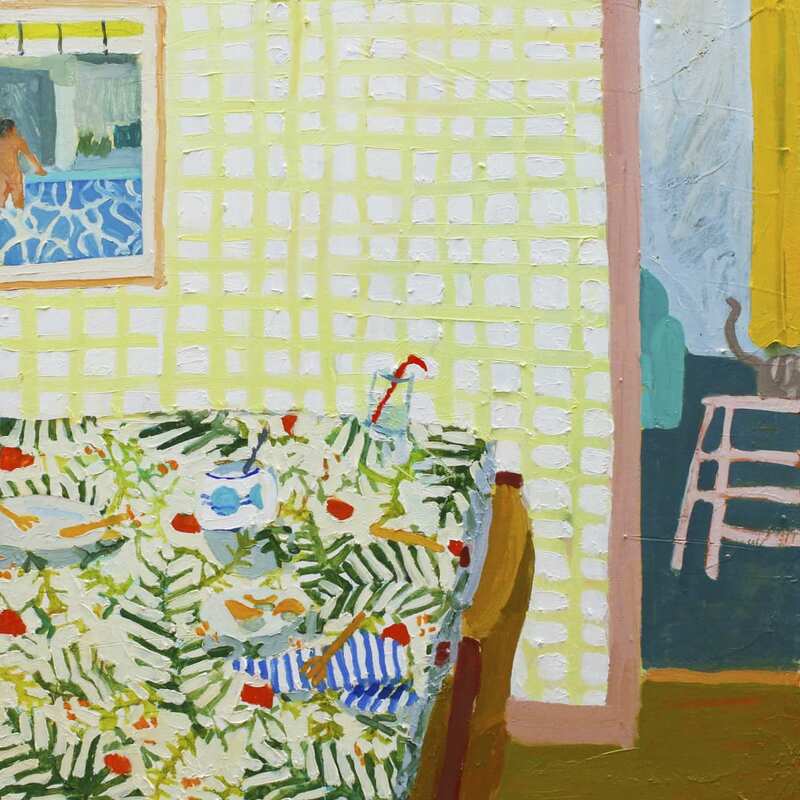 The nostalgia implicit within the subject matter of her paintings allows Treppendahl to explore the association of these reminiscent moments and how they bring us together. Treppendahl holds a BA in Painting and Printmaking from the College of Charleston. Her paintings have been shown at Halsey Institute of Contemporary Art (Charleston, SC), 1019 Gallery and Richard and Dolly Maass Gallery at SUNY Purchase College of Art and Design (Purchase, NY), and the Visual Art Center of Richmond (Richmond, VA).